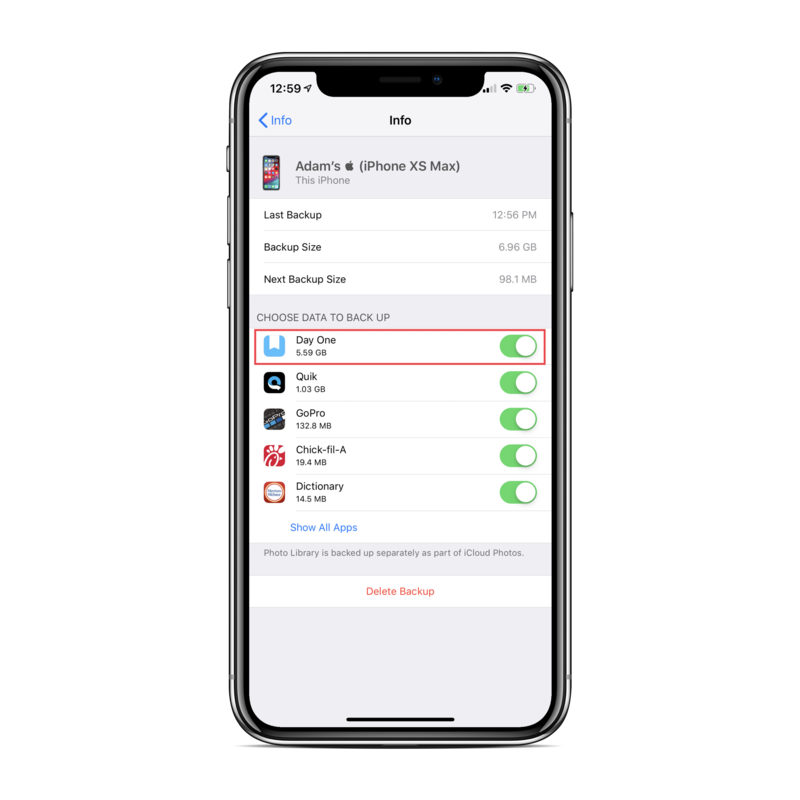 On your iPhone, iPad, or iPod touch using iOS 11 or later, go to Settings > [your name] > iCloud > Manage Storage > Backups > tap your current device. Enable Day One under Choose Data to Back Up. Go to go to Settings > [your name] > iCloud > iCloud Backup and tap Back Up Now. This will include Day One data to iCloud Device backups. For more information about how iCloud Backups work, see: https://support.apple.com/en-us/HT204136. See below on how to restore from an iCloud device backup. If you ever need to replace or restore your iOS device, you can restore from the latest iCloud Device backup and recover your Day One data. This method restores your entire device. Data will be restored from the most recent device backup stored in iCloud.